Mia Flanagan has never been told who her father is and aged ten, stopped asking. Haunted by this, she remains a dutiful daughter who would never do anything to bring scandal or shame on her beautiful and famously single mother. So when Archie Fitzgerald, one of Hollywood’s favourite actors, decides to leave Mia his Irish estate she asks herself – is he her father after all? 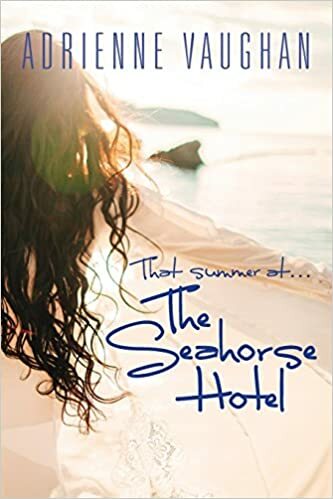 That Summer at the Seahorse Hotel is a tale of passion, jealousy and betrayal – and the ghost of a secret love that binds this colourful cast yet still threatens, after all these years, to tear each of them apart. There are some great rounded characters; quirky, poignant, funny, slightly wicked antagonists, and a great child character. Mostly I liked the way the protagonist grew in strength as the story progressed. This was a different read for me. I usually enjoy novels where I can follow and empathise with one, maybe two, characters but, as I said before, this time it works (mostly). There is one point where I would have liked to have more of a build up, more detail, more atmosphere. It’s a scene where one character threatens Mia. Already portrayed as obnoxious,yet not threatening, here he is menacing. Yet I felt that it didn’t quite work and the protagonist wasn’t shown to be really afraid. We are told she is but I didn’t really get any sense of real fear and the scene is quickly glossed over. Though it is actually a pivotal romantic point in the plot. 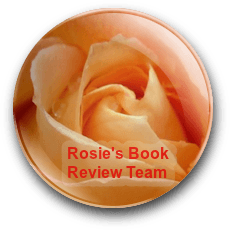 But, all in all this book worked for me and I have no hesitation in recommending That Summer at the Seahorse Hotel to readers who enjoy contemporary women’s fiction with a hint or two of mystery. 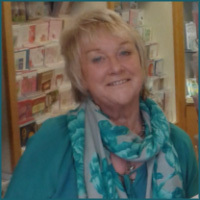 Adrienne Vaughan has been making up stories since she could speak; primarily to entertain her sister Reta, who from a very early age never allowed a plot or character to be repeated – tough gig!